Since 2005, Bright Brewery has been bringing local beer to one of Victoria's most picturesque regional towns. If you're a brewer who wants to join that community, the Bright team might have the role for you. Bright Brewery is an award winning and proudly independent brewery, bar and restaurant, producing MountainCrafted beers in the spectacular alpine town of Bright, Victoria. Our key values of ACTIVE – SUSTAINABLE – AUTHENTIC are the cornerstones of everything we do at Bright Brewery. From brewing beers that reflect the bold and wild environment in which they are crafted, to embracing the outdoor lifestyle that our region offers, Bright Brewery helps form the heart of our community. We're a vibrant and growing business that values the authenticity of our products, services and people, with a sustainable future for all. Bright Brewery is seeking an experienced Brewer to join our team. We are looking for a passionate self-starter, capable of working both individually or as part of a small team. 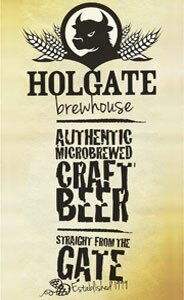 Bright Brewery brewers are professionals who competently brew and package a wide variety of beer styles. They are forward thinking, logical, commercially minded and able to efficiently and effectively solve problems as they arise. Reporting to the Head Brewer, the Brewer will be responsible for all aspects of production including, wort production, cellar duties, packaging operations and logistics on a day to day basis. The ideal candidate will have a minimum of two years’ experience in a commercial brewing environment and have passed the IBD General Certificate in Brewing or similar brewing qualification. This is a full-time permanent position that will involve after hours, weekend work and public holidays on some occasions. Bright Brewery is the Alpine Shire Business of the Year winner and a 2017 Victorian Tourism Awards Gold winner. The successful applicant will be driven to build on these successes and high standards. 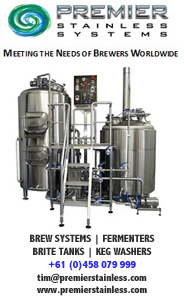 A full position description can be supplied on request by emailing brewer@brightbrewery.com.au or by calling Richard Chamberlin on 03 5755 1346. Applications can be made confidentially by sending resume with a cover letter addressing the skill requirements and selection criteria via email to: brewer@brightbrewery.com.au. Applications close on September 28, 2018.